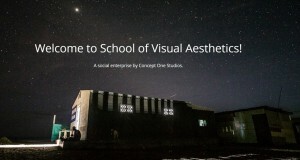 Rawalpindi Institute of Art and Design (RIAD) is a private institute. We are offering courses in Photography, Interior Designing, Fine Arts, Graphic Designing, Fashion & Textile Designing, Fine Arts. 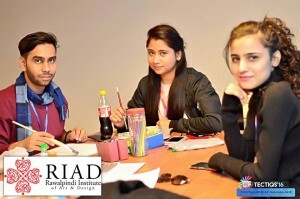 Rawalpindi Institute of Arts & Design (RIAD) was established in the year 2011. We have made a strong market standing and we are offering courses in Photography, Interior Designing, Fine Arts, Graphic Designing, Fashion & Textile Designing, Fine Arts etc. Over the period of time we have trained good minds and remarkable asset has been produced by us. Many of our Certificate & Diploma holders are working in the market after completing their study from this institute. We can proudly say that we have helped students in shaping and setting their goals & visions. After catering a vast group of delegated people we are planning to move towards new horizons by offering degree programmes in upcoming time. The affiliation process with Punjab University is underway and inshallAllah by end of this year we will announce our degree programmes under the umbrella of Punjab University Lahore. We are looking forward for building a strong nation by offering our services to the general public. Lets us get united in building something that will last. The mark of any school lies in the quality of values it delivers to the rest of the world. These values must always be solid, ethical professional and positive. But when it comes to Arts and Design: these values must be aesthetically appealing too. This is what everyone looks to have in an Art school and this is how we differentiate from others. Dear Students! You are now embarking on a great learning adventure and you may face challenges of varying degrees and nature. But I am also sure those challenges will inspire you. There is no doubt that you will all be achievers at the end of it and once you pass through the portals of Rawalpindi Institute of Art and Design, the road ahead will be open. I also know for certain that you will lead the change of tomorrow for tomorrow and that the world will seek you out proactively. I’m glad that you’ve made the right one. Master’s in Interior Design from National College of Arts Lahore in 2003 and heading the Interior Design department at Rawalpindi Institute of Art and Design. She has been associated with the education sector for past nine years. Undertook many residential and commercial interior projects including the “Golf Club” and a restaurant design, “The Lounge”, both at Pakistan Air Force Complex Islamabad. For her concinnous interior designing in an exquisitely ingenious manner and her self-scarifying commitment, she was presented with an appreciation certificate by the President Pakistan Air Force Women Association in 2010. Graduate of Iqra University Islamabad in 2009, with Textile as majors and is a color theorist heading a textile department at Rawalpindi Institute of Art and Design. She assisted “Taji Handicraft” business during a USAID project, which stands to date, as one of her achievements. She is currently working with a Karachi based footwear brand “Pink Studios” and is handling their Islamabad business. She is also part of an international designer’s community “Designer’s Couch”. Graduate of Iqra University Islamabad in 2008, with Fashion Design as a major and is heading the fashion design department at Rawalpindi Institute of Art and Design. Since 2006 to date is engaged as a freelance dress designer by label "JABBARS" (Custom made Clothing). Designing formal western wear clothes by appointment. He has worked as a fashion/textile teacher at Hunarkada College of Visual and Performing Arts Islamabad from Oct 2008 to May 2009. He is skilled in Fashion drawing (illustration, flat/technical drawing), Painting techniques (paper & fabric), Weaving, Draping, Sketch/Technical drawing, Sewing (hand & machine), Pattern making, Digital photography (landscape/fashion) and Print design. M. Phill in American Studies (Research based on African - American Art) from Quaid e Azam University, Islamabad in 2012, Masters in Fine Arts (Figure Drawing / Composition, Landscape, Printing, Sculpture, Islamic & Western Art History) from the University of The Punjab in 2005. Masters in Social Studies (Pakistan History, Geography, Society, Culture, Foreign Policy, Defence, Strategic & Political Studies) from Quaid e Azam University Islamabad in 2004 and is heading the Fine Arts department at Rawalpindi Institute of Art & Design. As an adjunct faculty, she is also teaching Eastern and Western Art History to graduate and post graduate students at Foundation University, Rawalpindi since 2011. She has a varied professional background and experience in humanitarian management and development, education and training. Her work was displayed in two group shows at gallery 6, Islamabad in July 2012. Her area of interest is painting, history, event management and voluntary work for welfare programs. A graduate from Karachi University in 2009 with a Diploma each in Textile Designing and Computer Textile (CAD / CAM) and Graphic Designing & Animation from Sind Board of Technical Education Karachi. Mr Bhatti holds a Certificate from Aptech Education and Arena Multimedia for Aptech Certified Graphic Design Instructor. He is the head of the Graphic Design department and teaches Graphic Design, 3D Animation and Textile Design, and has been associated with the education sector for past eight years. He also leads a private company by the name of "Hum Designer," involved in advertising campaigns and other projects relating to Motion Graphics and 3D Animation for many clients including Metro TV Channel. Graduate of Iqra University Islamabad in 2010, with Textile as majors and is a faculty member with the textile department for evening class at Rawalpindi Institute of Art and Design. As a student he was a scholarship holder for two semesters and worked as a teaching assistant for the faculty head of Art and Design in Iqra during 2008 & 2009. Participated as a textile student speaker on Pakistan Television (Ptv) live morning show in July 2008. He has worked as a an internee at Dhaka Ahsania Mission Islamabad Pakistan, designing the course layouts & syllabus for their vocational training centers in 2009. Bachelors in Architecture: (B.Arch) from COMSATS Institute of Information and Technology, Islamabad in 2010 and is a faculty member with the interior design department of Rawalpindi Institute of Art and Design. She has worked for Hammad Hussain Architects Islamabad, under the supervision of AR. Hammad Husain, for the period September 2010 to August 2011. She has also worked as an architect for Circumference and Associates Islamabad with AR. Shoaib Ansar, for the period August 2011 to May 2012. She has been working on various projects including residential, commercial and interiors, mosques and schools etc. She has also worked for energy efficient housing projects as project architect with eco-homes Pakistan. Presently she has established her own architecture studio by the name of La Casa Artisan.